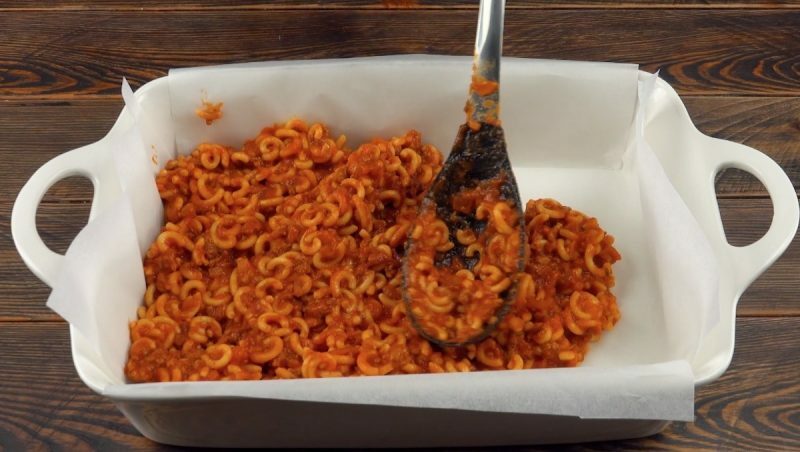 Did you just love SpaghettiOs as a kid and now wish you could eat them everyday as an adult? Who says you can't?! But if you want to add some variety to the dish, try this pasta casserole recipe which adds mortadella, hard-boiled eggs, and plenty of mozzarella cheese! 1. Preheat the oven to 350°F. Cook the pasta and set the noodles aside. 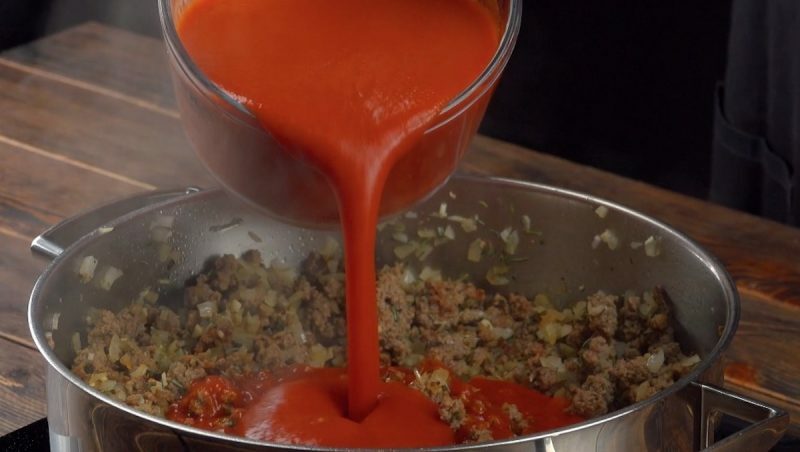 Brown the ground beef with the vegetables and then add the thyme, rosemary, ketchup, tomato puree, salt, and pepper. 2. 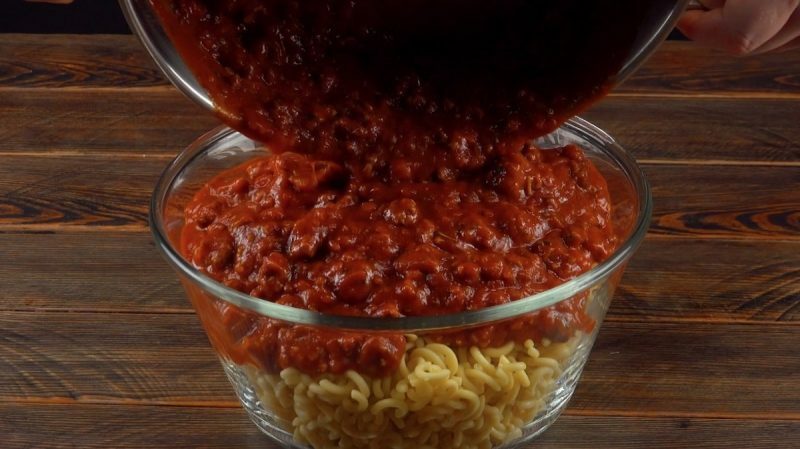 Mix the noodles with the sauce. 3. Line a casserole dish with parchment paper, add a layer of pasta, smooth out the top, and sprinkle grated parmesan and shredded mozzarella on top. 4. Cut 10 hard-boiled eggs in half and put the halves face down. 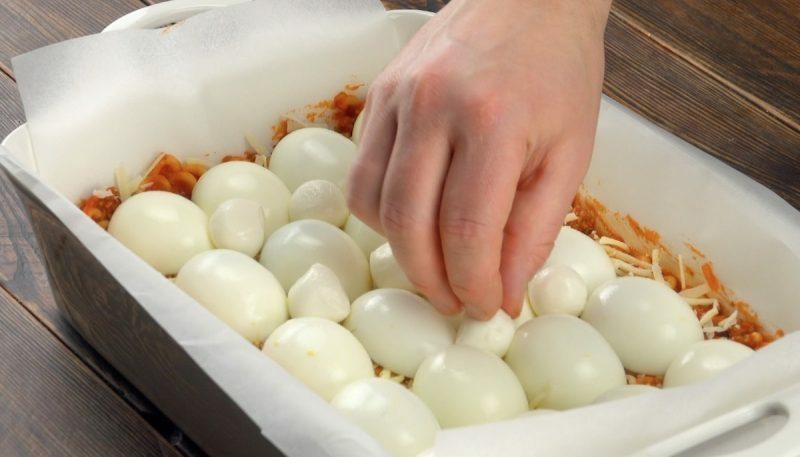 Fill the spaces between the eggs with mozzarella pearls. 5. Add a layer of mortadella, followed by a layer of pasta. Sprinkle parmesan and mozzarella cheese on top and bake for 40 minutes. 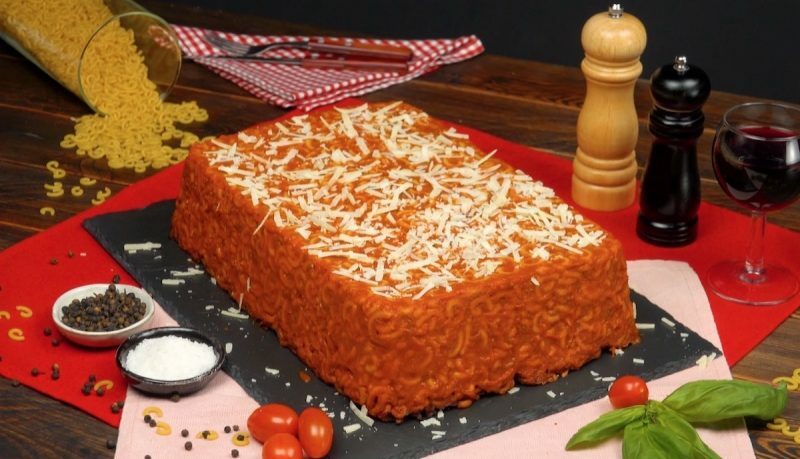 Once the SpaghettiOs cake has cooled, flip it over onto a large plate or platter, slide it out of the casserole dish, remove the parchment paper, and enjoy! You can find the recipe for the Pasta-Stuffed Meatloaf featured in the bonus video here.